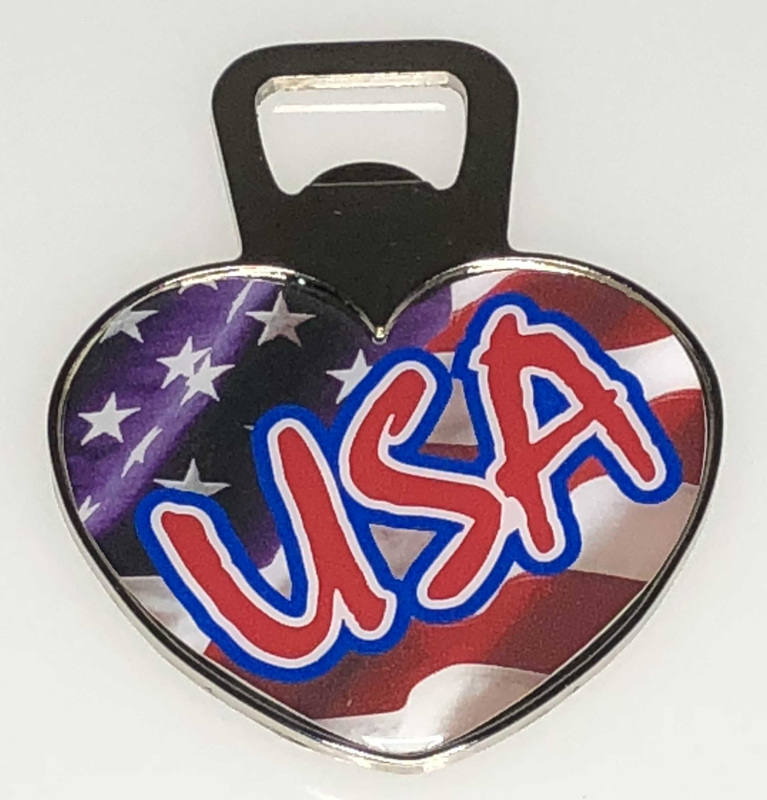 Our Jumbo Heart Shaped Bottle Opener Magnet w/USA FLAG DESIGN is made from zinc alloy and is nickel plated. They measure 3.5" top to bottom. 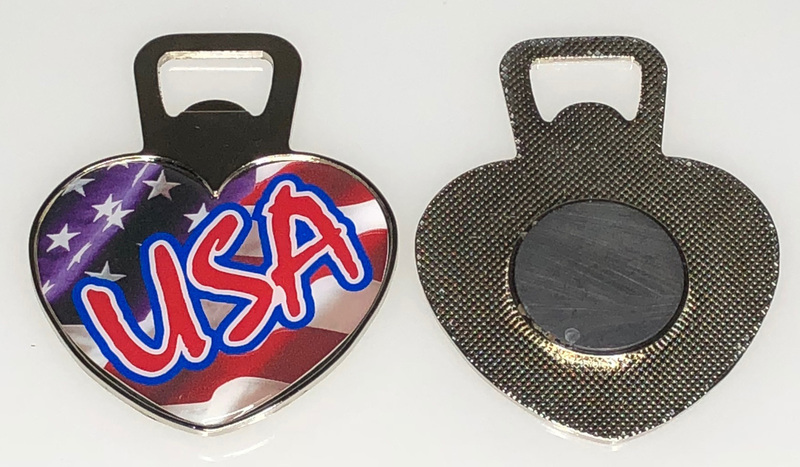 The backside magnet measures 1.25" and in enclosed in its own casing. Packaging is bulk with each piece poly bagged. Please contact our office for info on other FLAG DESIGNS or custom requests.